Ryans Woods is a wonderful waterfront community of townhouses in the beautiful northwest section of Palm Harbor. The pristine water views in and around the community of Ryans Woods adds to making this peaceful real estate neighborhood so inviting. Town homes for sale in Ryans Woods are modestly priced and feature 1600 square feet of comfortable open space. In addition to a garage on the lower level, the townhouses also feature a bonus room and bathroom. 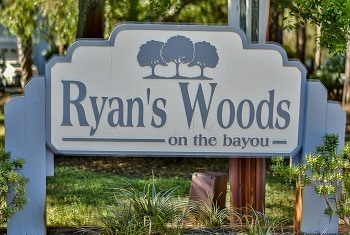 Ryans Woods was built in 1998 of charming single family, three bedroom townhouses with custom amenities such as fireplaces, covered patios, hardwood floors, and waterfront views and access to the Gulf of Mexico. Enjoy kayaking and jet skiing right from your own backyard. Beautiful palm trees and mature landscaping grace the grounds of this deed restricted community. A community pool for owners and guests is also featured at Ryans Woods and it's just a short walk to the Pinellas Trail for biking, skating, and walking. Minutes to the beautiful sandy beaches of the west coast of Florida, and Ryans Woods is also close to all shopping, restaurants, downtown Palm Harbor, county parks, and top rated schools. Selling your Home in Ryans Woods? Trust a Lipply Real Estate Agent to get you the best possible sale of your home. Selling your home can be a stressful process but not if you rely on our highly skilled professional agents to come up with a great marketing plan that is designed specifically for you! Call us today, don't wait!